After a little hiatus, I decided to take out the Instant Pot from storage to make some Mexican Shredded Chicken. Yes, I was still terrified to use it. It was my third time using the Instant Pot, but I was still nervous. I decided to make some Mexican Shredded Chicken. 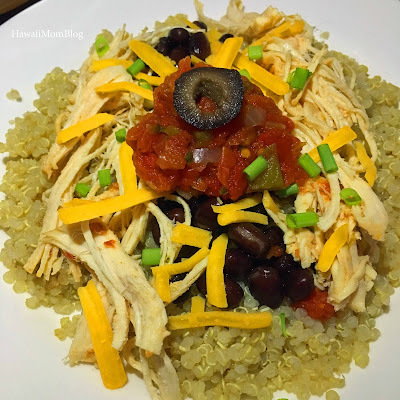 I once made it in the slow cooker, but this time, I used the same recipe, with the addition of some water, and made the chicken in the Instant Pot. I used frozen chicken, set the timer for 25 minutes, did a natural release, and I had enough Mexican Shredded Chicken for tacos, nachos, and quinoa bowls for several days! 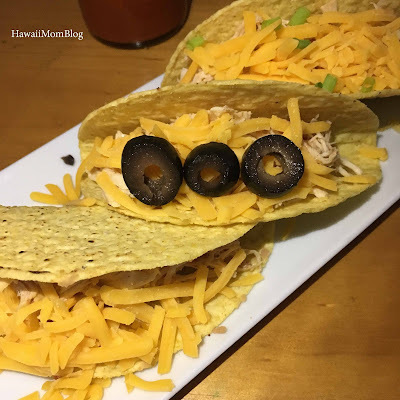 To make the chicken, I used 1 1/2 pounds of frozen boneless, skinless chicken breasts, 2 cups salsa, 3 tablespoons of taco seasoning, and 1/4 c water. I poured the water into the pot, then 1/2 of the salsa and 1/2 of the taco seasoning. I placed the chicken in the pot, then put the remaining ingredients in. I set the Poultry timer for 25 minutes. I then did a natural release for 10 minutes, then a quick release of any remaining pressure. 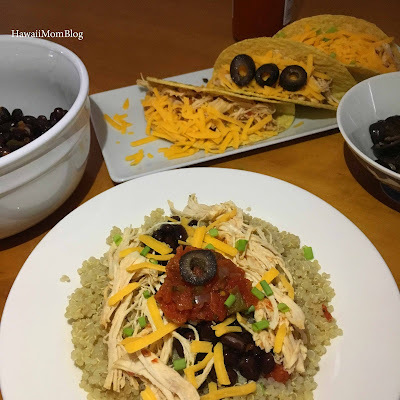 It was so quick and easy to make Mexican Shredded Chicken in the Instant Pot with frozen chicken and just a few other ingredients!